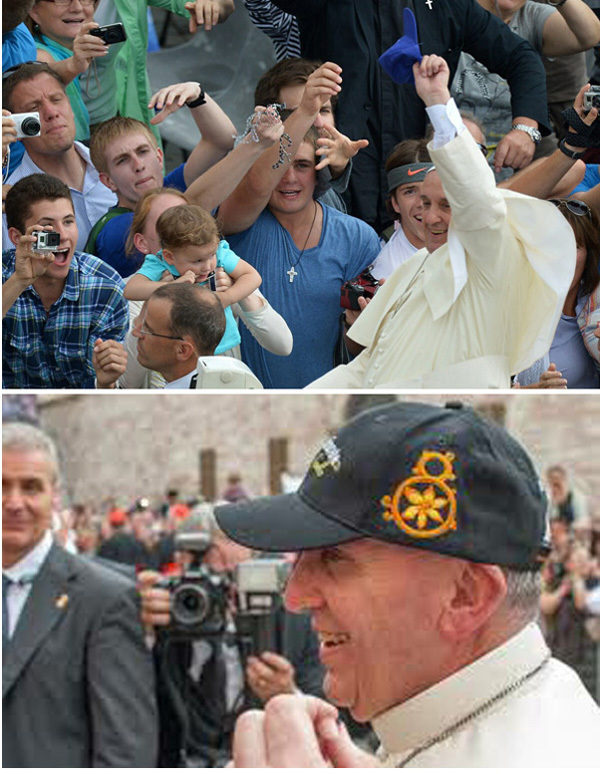 One of the latest fashions launched by Francis in his frenetic quest for popularity is to catch a baseball cap in the air, thrown by someone in the mob, and then wear it, as shown in the two first rows below. The inconvenience occurs when he is distracted or not agile enough to grab it, and the cap ends by slapping his face, as pictured above. A situation quite unacceptable for a man who is the Vicar of Christ. 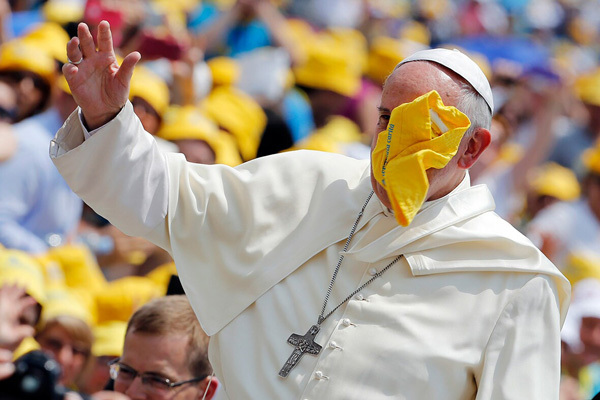 We all know that the least concern of Pope Francis is to represent the grandeur and majesty of Our Lord Jesus Christ, Lord of Lords and King of Kings, but we, as Catholics, do care about it. From the third row below to the last, some shots showing his frenzied and unrestrained desire to be popular. Last row, a close up confirming the point.